Florida Adoption Resources: Florida Adoption and Adoption Resources, Florida Adoption Law and Adoption Information. Anyone associated with adoption, seeking to adopt, or seeking to place a child for adoption needs to be aware of the many Florida adoption resources. Adoption resources can provide a way to browse through available children, list the steps in the adoption approval process, and give people information via the internet or mail service. They also provide a way for people to help in the adoption process, explain special needs, and even help someone decide what is best for their family. The easiest way to access the different type of Florida adoption resources is through the internet. Many of the available Florida adoption resources fall under the heading of online resources, government resources, or non-government organizations (NGOs). 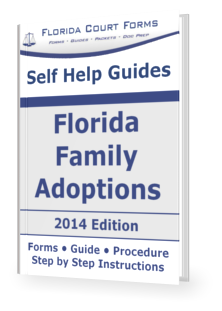 Online Adoption Resources: Online resources typically provide a plethora of information relating to Florida adoption resources and Florida law. To this end, the Florida Department of Children and Families is a great place to start. Some of the available online resources from this government department is legal help and information about adoption law and links to national and international government resources. You can also find a direct link with phone numbers and addresses to the Florida Adoption Information Center, Florida’s Adoption Reunion Registry, several foundations, even information on NGOs both internal to the state and international. Other online adoption resources offer a way to build a profile in order to find the right person to enter into an adoption agreement with or find an excellent adoption attorney. Most reputable agencies have fairly comprehensive adoption resource sites available to anyone that require no sign-up fees or personal information given. Some online adoption resources also provide training programs and slide shows covering adoption information and many of the hassles historically associated with the adoption process. This is why online resources are the best place to start gaining familiarization with the Florida adoption process. As mentioned above, the Florida Department of Children and Family is the government agency in Florida that specializes in adoption. While this is a great Florida adoption resource, it is not the only government agency aiding the adoption process. Other Florida adoption resources include state run adoption agencies, social workers, and even courts can all be great government resources. A social worker for example, can familiarize and provide information on chapter 409 of Florida statutes governing social and economic assistance. Anyone seeking adoption can get help financially and gain lots of information surrounding adoption. Working with state-run adoption agency will give many of the same links to information and this option provides prospective parents with an affordable means of adopting a child. Children in a state run agency are often abandoned or seized from parents, and can usually be adopted with less hassles that often can accompany adoptions private sources or NGOs. Non-Government Organizations are one of the most used adoption resources. NGOs cover a broad range of organizations that include profit and non-profit agencies as well as national and international agencies. Florida law allows the adoption of anyone as long as the adopting party is not a homosexual. Private agencies can be one of the better resources because the children typically found in these agencies are given up by parents to select a good home for their children. Private agencies also offer many services including legal support, medical support, counseling, and financial services for any clients that enlist their help in the adoption process. The only downside to private agencies for adoption is the overall cost. While most agencies are up front about their costs, many private agencies charge prospective parents hidden fees throughout the adoption process. International NGOs are available in just about any country of the world and give prospective parents the ability to help a starving child from another country come to the United States and be part of their family. Florida statutes cover international adoption and many financial programs are available as well. Another great non-government source is a local attorney specializing in adoption. Attorneys can help develop adoption agreements with new mothers or future mothers in order to gain a family an infant in it first moments of life. Attorneys are often, but not always, the most expensive route to go and provide only limited resources, but a good adoption attorney knows all of the Florida statutes and can ensure that the adoption process is personalized and free of as many headaches as possible. And remember the old axiom, you get what you pay for. No matter the source of the adoption, anyone seeking information or entering the adoption process needs to consult as many adoption resources as possible. Adoption resources are readily available and do not cost anything for anyone. As mentioned above, many of the resources available do not even ask for money or personal contact information. As a free service, the Adoption Information Center provides adoption information and referral services to adoptive parents, adult adoptees, birth relatives, pregnant women and professionals. This is an excellent Florida adoption resource. Florida adoption resources on all aspects of domestic and inter-country adoption, including adoption from foster care. Includes information for prospective and adoptive parents; information about searching for birth relatives; and resources for professionals on recruiting adoptive families, preparing children and youth, supporting birth parents, and providing post-adoption services. The adoption process, selected resources, and frequently asked questions.